Does your hospital’s Human Resources department take full advantage of your corporate intranet site? If your staff frequently find themselves having to pick up a phone or take a walk down to HR to visit then the answer is a resounding NO. It is no surprise that Human Resources material and information is the most accessed portion of a corporate intranet website by your employees. This makes it quite important that not only is there a robust library of Human Resources material available but also that as much self-help information is available so that simple clerical requests don’t require valuable time from the Human Resources staff. Is it better for an employee who needs to update their home address to call or visit the Human Resources department or is it better for them fill out a form on the human resources intranet site and Human Resources processes the request at their convenience? Further, imagine if the employee works nights and Human Resources is not staffed outside of business hours. This would not only be extremely frustrating to your employee but also very inconvenient which does not help employee satisfaction. All of these questions translate to dollars. 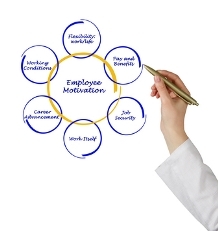 If your employees are not satisfied you will have high turnover and high turnover equals dollars spent on recruiting, lost productivity, training, familiarizing the employee, and service concerns. If your Human Resources department is bombarded by the same requests time and time again then it is clear that a solution should be automated and published where your employees expect to find it–the intranet. Imagine the time saved when employees can help themselves without needing assistance from another employee; that’s TWO employees that are not wasting time and are more productive which we all know equals dollars. With this amount of information you could almost have a website entirely devoted to Human Resources and Employment related materials. There is simply so much information that your employees need access to that it’s a shame not to use your corporate intranet site as the key resource for your employees to access HR materials. And what’s even more significant is that the materials are all available 24 hours a day and 7 days a week. A substantial Human Resources presence on the hospital intranet site is clearly important. What other ways can you envision your HR department fully leveraging your intranet so that EVERYONE is more productive?